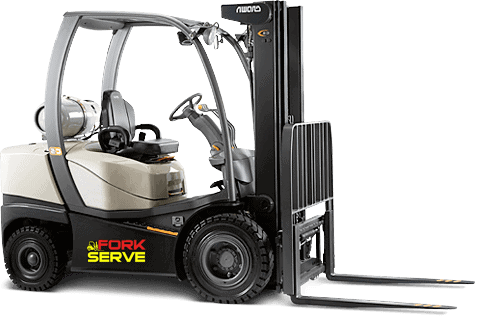 Forkserve Mobile Mechanics provide and fit forklift tyres for all makes and models of forklifts in Sydney.Call us for competitive prices and fast same day service. Please have the make, model and serial number of the forklift available to give to our friendly staff.Tyres we stock include; polyurethane, pneumatics, solid (puncture proof), all terrain, rough terrain, offroads, standard or press on. Whether you need a tyre for a pallet jack or a large container forklift, Forkserve has it covered. All-Terrain - If you want to ensure that your forklift can work in a variety of terrains and conditions, all-terrain tyres are a safe way to go. They're able to tackle pavement, packed dirt, muddy conditions, sand and more. Off Road - For more rugged project sites around Sydney, off road tyres can give your forklift a little more gripping power. You won't have to worry about getting stuck or sliding as you're trying to load, unload or move your equipment and materials. Pneumatic – Pneumatic tyres are traditional air-filled tyres. They're usually less expensive than other types, but they do run the risk of leaking or blowing out. They're best for paved areas or packed ground. 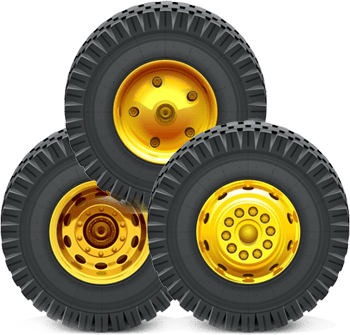 Polyurethane - If you want tyres that can handle heavier loads, a variety of terrains and that are more resistant to wear and tear, polyurethane tyres may be a great choice. They can support twice the weight of a rubber tyre, and they're resistant to chemicals. Press On - Press-on tyres give your forklift's actual tyres more cushion and protection from the terrain and the load weight. They're designed to stretch around your forklift's existing tyres, and they're resistant to the heat and cold. Rough Terrain - Projects that are in more rural areas may require you to have rough terrain tyres on your forklift. They can handle a more rugged environment without blowing out, and they reduce the chance that you'll get stuck or slide. Solid (Puncture Proof) - When you work on construction sites, there is an increased risk of running over construction debris like nails. Solid tyres are puncture proof, and this can help them last longer. 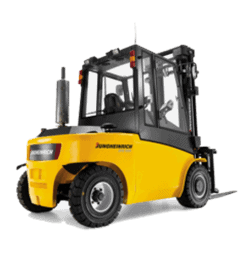 Standard - If you don't need any specialisedforklift tyresfor your forklift, standard tyres are solid and reliable. We'll fit them to your forklift, and you can go about your project. Contact ForkServe for Forklift Tyres in Sydney! If you need tyres for your forklift, contact us. Our extensive stock and Mobile Mechanics will get your forklift fitted out and ready to go quickly and efficiently!